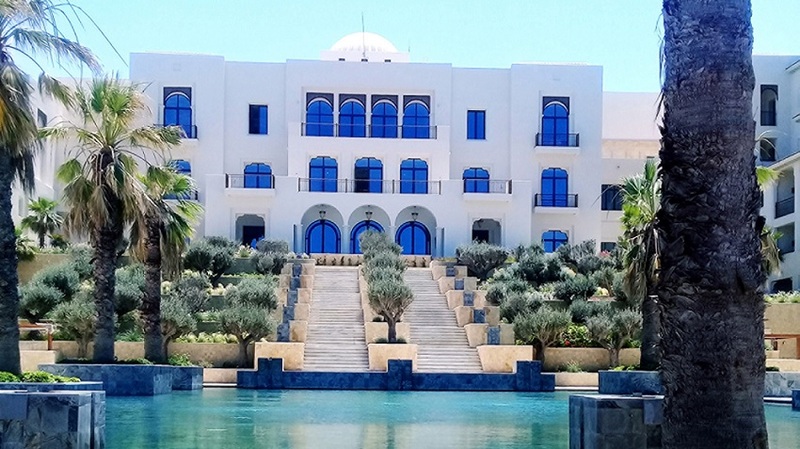 Just a short drive from the ancient Roman ruins of Carthage and the traditional village of Sidi Bou Said, a sanctuary of modern luxury and style has opened its doors on the Mediterranean shore of the capital: welcome to the all-new Four Seasons Hotel Tunis. Contemporary Arabesque architecture and design details including mashrabiya latticework screens reflect both the Hotel”s proximity to several UNESCO World Heritage Sites, and its easy access to the city. 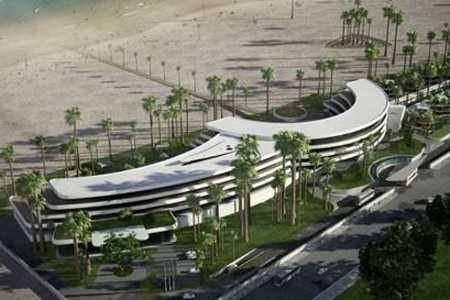 Spilling down toward the sea is a palatial complex of white buildings connected via arched walkways and surrounded by pools, fountains and gardens beneath swaying palms before giving way to a sandy beach edging the Mediterranean beneath a bright blue sky. Public areas are designed in an open concept to capture gentle sea breezes, while guest rooms and suites open to either garden or sea views.